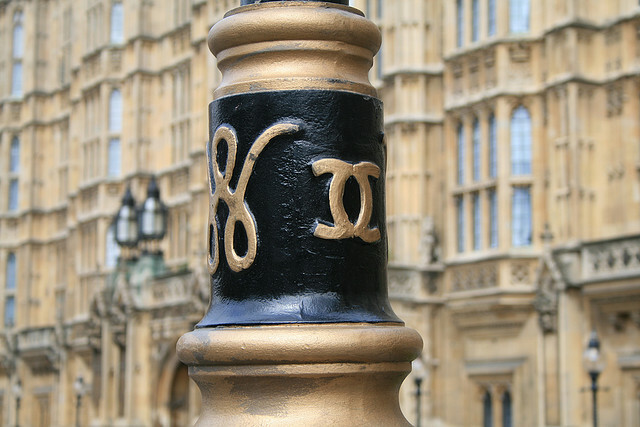 The urban legend goes that in the late 1920’s, the then Duke of Westminster, Hugh Richard Arthur Grosvenor, was so besotted with Coco Chanel (whom he’d met at a party in Monte Carlo in 1925) that he ordered for all the lampposts in Westminster to be adorned with her famous logo, the two crossed “C”s, next to his own initial: “W”. Today the City of Westminster (for whoever isn’t familiar with the political geography of London, the British capital is divided into 13 boroughs, among which the City of Westminster) very prosaically states that in fact the initials stand for “city council” and were added only in the 1950’s. 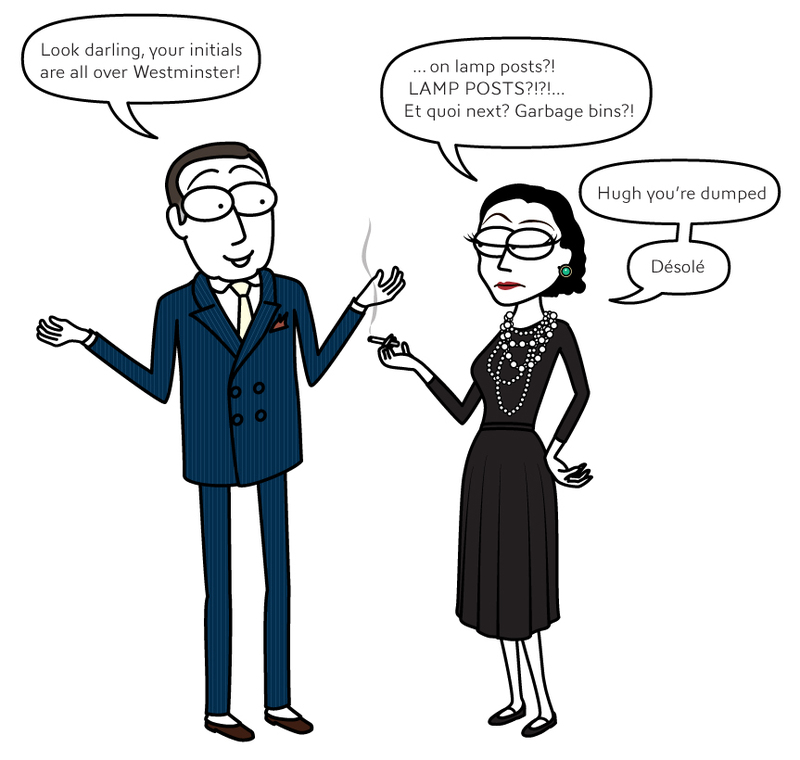 Although the former story sounds a bit too extravagant, the latter seems spurious, as if anybody had dared to use a worldwide known trademark such as Chanel’s logo on a series of lampposts, I bet the maison‘s lawyers would have made sure the whole Westminster would remain without public lighting rather than have their brand used fraudulently. love the story. and Coco’s caricature is spot-on!